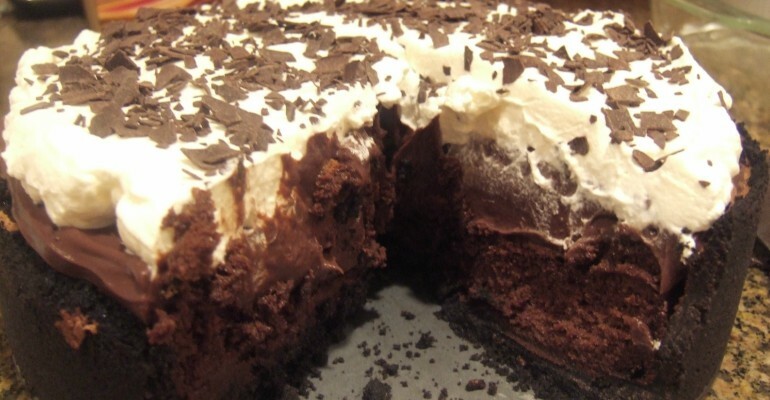 Is This A Mississippi Mud Pie Or Cake?! When I was a kid, I used to read this magazine for kids that featured cartoon characters that I loved and the little adventures of kids my age. There was this portion that taught kids little recipes that they could try with very little supervision from Mom. I first encountered the term “mud pie” in this kid’s magazine. The recipe went a little something like this: Ingredients were composed of heavy whipping cream, crushed Oreos, condensed milk, and vanilla. Instructions: Combine all ingredients until they looked like one mad pile of mud, cover with pastic wrap, and place it on the fridge until it’s chilled and hard enough to serve. Top with cherry and drizzle with chocolate syrup. That’s it! That was the mud pie. I made it once with Mom’s supervision. While it tasted good, it didn’t look that great. I didn’t know back then that real mud pies weren’t supposed to be as simple and as messy as that kiddie mud pie. But it was still an experience nevertheless. Now that I’m grown up, I can follow instructions well. My mud pies have looked better over the years; and tasted even better too. There are recipes available that can help you create mud pies that you can actually serve to guests over at formal dinners. Here’s one from Food Network. Other than the toppings that I added (I always wanted to put different toppings), this recipe works so well. Quick Tip: For the crust, you can use chocolate wafers with pecans instead of graham to make it richer. Save Me, Sour Cream Lemon Pie!